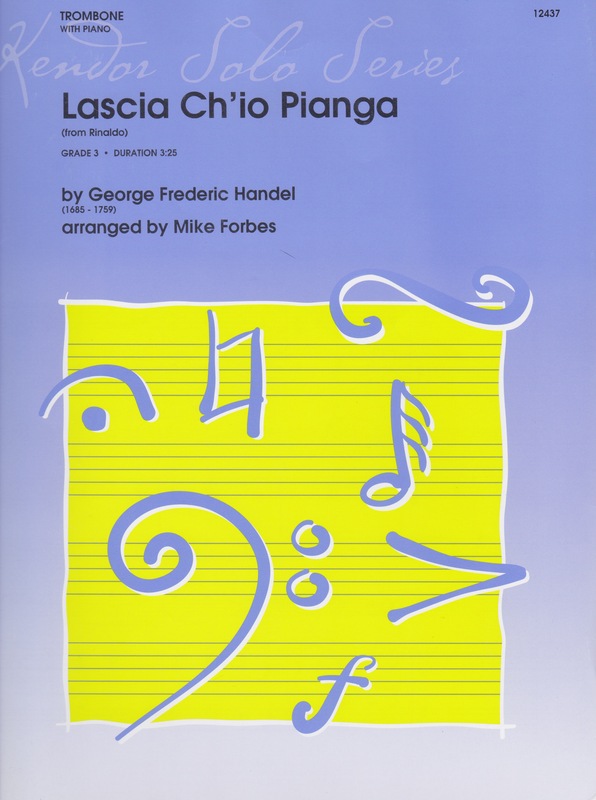 Laschia Ch'io Piana is the famous soprano aria from the second act of Handel's opera Rinaldo. The original version is quite short and thinly scored so this arrangement has filled out the harmonies in the B section and retained the key of F. Like most modern wind versions of this aria the solo part has been edited with slurs, tenuto marks and dynamics, absent from the original, to allow the piece to function as a stand-alone work. The arranger has written out the Da Capo and added the ornamentation we now expect to hear in a late Baroque opera. The arrangement is listed as Grade 3, appropriate for a third to fourth year player. Its highest note is g1 and it contains a few technical challenges. The piano part is quite simple and could also be played by a young student. The piece does work well for this level. There are two passages in the ornamented section with mordant symbols that, given the grade level, might need clarification from a teacher.